PMI - Manufacturer of the Year! Pacific Metallurgical is proud and excited to report that our team received the gold award for the 2018 Washington Manufacturer of the Year, small firms!! Derek Fallen proudly accepted this award on behalf of those who paved the way before us, and our amazing PacMet Family! In a fun and heart-felt speech, Derek let all the companies in attendance in on the secret to our success: it had nothing to do with him, but the amazing team he has behind him. Please read the full article here. Excerpt from PMI Insight article: "Electrical Safety"
- Keep electrical cords out of hallways; if cords must cross doorways, assure that they are completely covered to prevent tripping hazards. - Electrical wires and lines must be protected from vehicle traffic. - Use appropriate equipment and lines for the current carrying capacity. - Do not hang temporary wiring over nails, rebar, or other metal objects. - Check cables frequently for wear. Certify that flexible cords are not frayed or damaged." PMI - Larry Backstrom, "Does Appearance Matter?" Excerpt from PMI Insight article: "Does Appearance Matter?" "...Larry Backstrom shares a story of a Boeing supply manager who would visit subcontractor's facilities for evaluation. During the tour of the facility, he would often excuse himself to use the employees' restroom. It was his belief that it was the employees who took care of his parts and made the money. 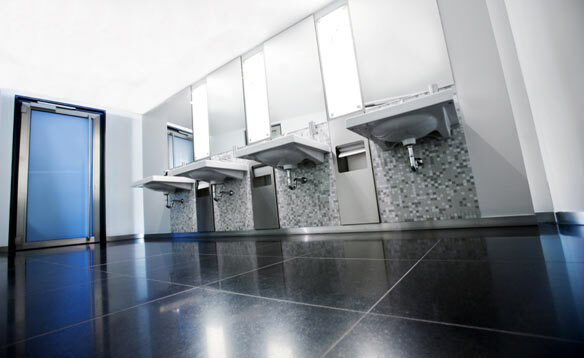 The appearance of the restroom was considered a direct reflection on how the employer took care of his employees and if he took care of his employees, then the employees took care of his parts. In the same vein, it is considered you can trust the quality and health of a restaurant by the appearance of the restroom." PACIFIC METALLURGICAL IS RECOGNIZED AGAIN! At the upcoming MTI Spring meeting, the Metal Treating Institute will be recognizing Pacific Metallurgical Inc. as one of four of the most highly engaged members in being active participants in better than 75% of the MTI’s programs and services. A company photo and video will be presented during the closing night’s ceremonies. Jim Sterling, Bob and Ginny Lillie will serve as representatives during the presentation. Accolades to Jim, Michael Quann, and Brian Delisa as key contributors. The other peer companies being recognized are Byington Steel Treating (CA), Modern Metal Processing (MI) and Aberfoyle Metal Treaters (Canada). 2013 COMMERCIAL HEAT TREATER OF THE YEAR! 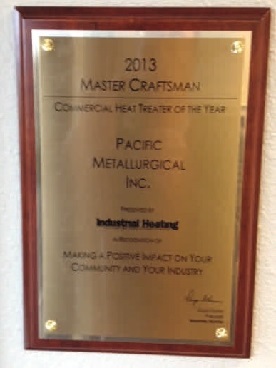 Pacific Metallurgical was awarded the 2013 Commercial Heat Treater of the Year Award by the Metal Treating Institute in cooperation with Industrial Heating magazine. Called the "Master Craftsman Award," this prestigious honor is presented annually to the MTI member company that demonstrates that they are "making a positive impact on their community and their industry." The award is based on contributions made in the areas of quality programs, pollution/hazardous waste control and community involvement. Pacific Metallurgical Inc. was presented with a plaque and $1,500 to be used as an education scholarship in material sciences or heat treatment. 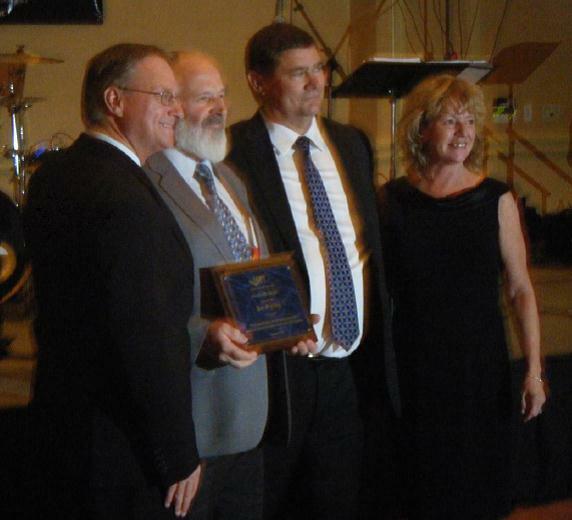 Derek Fallen, president, accepted the award at the 2013 MTI Fall Meeting held in Las Vegas, NV on October 12th. PMI - What Is A Temperature Uniformity Survey? What Is A Temperature Uniformity Survey? All furnace equipment used for heat treating should be properly instrumented and periodically tested for uniformity. The temperature uniformity within the furnace must be regularly surveyed.The frequency of surveying is largely dependent on the type of equipment in use and its previous history in accuracy and reliability. Exact survey frequencies should be determined from applicable processing specifications. However, quarterly temperature uniformity surveys are fairly standard. furnace under normal operating conditions. A furnace is normally qualified through an initial comprehensive survey. periodic surveys can be taken, usually on a quarterly basis. Unless otherwise specified, periodic surveys can be performed at a single temperature that rotates between the minimum, mid-range and maximum operating temperatures of the furnace. Uniformity surveys are also performed after any major repair to the furnace or when the operating integrity of the equipment may be in question. 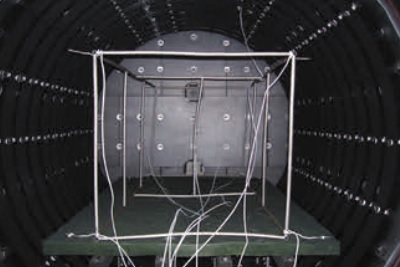 For all air-circulating and vacuum furnaces, the survey is performed by locating thermocouples at various locations within the usable working zone of the furnace. The exact location of the survey thermocouples varies somewhat between specifications. Normally, at least nine thermocouples will be located at points covering the outer extremes and the center of the working zone. 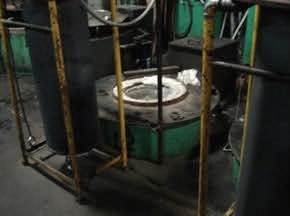 To reflect the normal operating characteristics of the furnace, an average or simulated production charge is sometimes loaded into the furnace for the survey. Survey thermocouples must be properly calibrated prior to use. In addition, an instrument calibration should be completed prior to the temperature uniformity survey. Readings from all survey thermocouples are recorded on an automatic multi-point recording potentiometer. The recording potentiometer should be calibrated monthly and traceable to recognized primary standards. Compensations are made for known deviations. The allowable operating tolerances can vary according to the applicable specification, equipment type, heat treating temperature and the material being processed. PMI - What Is A Thermocouple? Thermocouples are very simple and durable temperature sensors. They are comprised of two different materials joined at one end and separated at the other. The separated ends are considered the output, and they generate voltage which is proportional to the heat they are measuring or monitoring. That is, the hotter the temperature, the higher the voltage. The fact that two metals generate voltage is known as the Seebeck effect. Two common applications of thermocouples are measuring room temperature and monitoring the presence of a pilot light. Thermocouples come with different pairings of materials allowing for a very wide range of applications. The different compositions are standardized into thermocouple types. The different types are given letter names which are standardized across the industry. In this way the consumer can purchase a "K" type thermocouple reader from one manufacturer and "K" thermocouples from a different manufacturer and be able to put together a system that will work. The manufacturer of thermocouples will provide tables indicating the best thermocouple type for a particular temperature range. The manufacturer will also provide data regarding the temperature and voltage relationship for each type of thermocouple. Thermocouples are easy to use and require no batteries or fancy electronics. 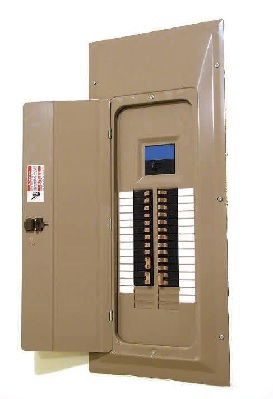 However, the voltage signals generated are very small so an amplifier may be required if you wish to read the temperatures into a computer. The voltage relationship with the temperature is not always a simple linear relationship so a "look up" table may be needed to convert the voltage readings into temperature readings. This information is available from the thermocouple manufacturer. 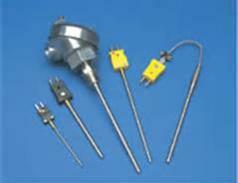 Most manufacturers of thermocouples will also make devices which convert the voltages into "engineering" units. This makes using a thermocouple based temperature acquisition system even easier to implement. The simplicity of the thermocouple may be deceiving though. Many factors can affect the accuracy of the system. Care needs to be taken when terminating the thermocouple at the measuring device so that no errors are introduced at that point. The voltage at the thermocouple terminals is proportional to the temperature of the junction so when using a thermocouple, it is very important that the junction of the thermocouple be in very close contact with the object that is being measured. Since the thermocouple is an electrically conducting wire, care must be taken so that there is no possibility of contacting other exposed electrical conductors. Finally, over time the insulation between the two wires of the thermocouple can breakdown and cause errors in the temperature reading. With a little planning and periodic maintenance a thermocouple based temperature acquisition system will provide a cost effective and reliable method for obtaining temperature data. 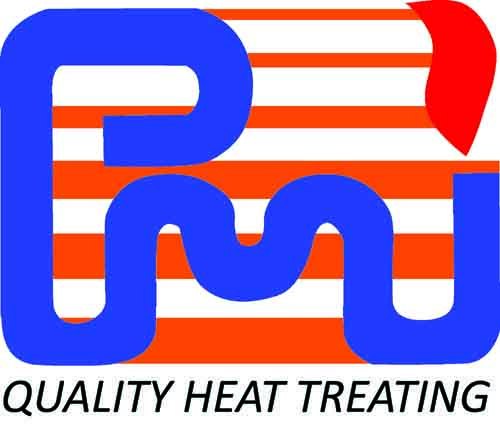 PMI - What is Solution Heat Treating? What is Solution Heat Treating? This is applicable to the heat treatable alloys and involves a heat treatment process whereby the alloying constituents are taken into solution and retained by rapid quenching. Subsequent heat treatment at lower temperatures i.e. aging or natural aging at room temperature allows for a controlled precipitation of the constituents thereby achieving increased hardness and strength. The solution treatment temperature is critical to the success of the procedure. It is desirable that the solution heat treatment is carried out as close as possible to the liquidus temperature in order to obtain maximum solution of the constituents. Accurate furnace temperature and special temperature variation must be controlled to within a range of Â±10Â°F for most alloys. Overheating must be avoided i.e. exceeding initial eutectic melting temperatures. 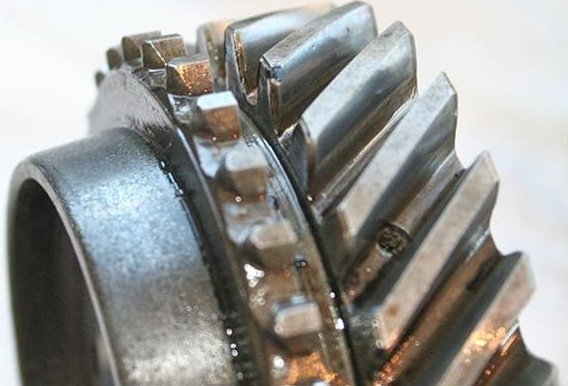 Often the early stages of overheating are not apparent but will result in a deterioration of mechanical properties. Proper solution heat treatment of the aluminum alloys requires an expert knowledge of the alloy being treated plus the proper heat treatment facility. PMI - What Is Nitriding? Nitriding is the process of binding nitrogen to a metal in order to harden it. This is one form of case hardening, which involves creating a thin layer of a strong alloy on the exterior part of a metal object. Some of the most commonly nitrided materials are low carbon steels, though the process can also be used with other metals such as titanium or molybdenum. Nitriding can be used for a wide variety of different components, including gears, dies, and cam or crankshafts. There are three main nitriding processes, each of which uses a different nitrogen rich substance to achieve the desired level of case hardening. The process of nitriding can be achieved through the combination of a nitrogen rich medium, metal, and heat. When subjected to intense heat, some of the nitrogen from the donor medium can become alloyed with the metal. When done properly, this may result in a very hard alloy of nitrogen and the metal being used. Some of the first studies that involved this type of case hardening took place in the 1930s. The process was discovered around the same time in both the United States and Germany, though it was not used widely until after the end of World War II. Ammonia gas was one of the first mediums used to alloy nitrogen with steel in a process called ammonia nitriding. The procedure typically involves heating a piece of metal and then subjecting it to ammonia. Due to the heat, the gas can then break down into hydrogen and nitrogen, at which point some of the nitrogen may sublimate into the metal. This method can allow great control over how deep the nitrogen penetrates and the specific properties of the ensuing alloy. Other benefits, compared to other methods, include the ease with which large batches can be processed and inexpensive equipment. Another process that can alloy nitrogen with metal typically involves a bath of cyanide salt. 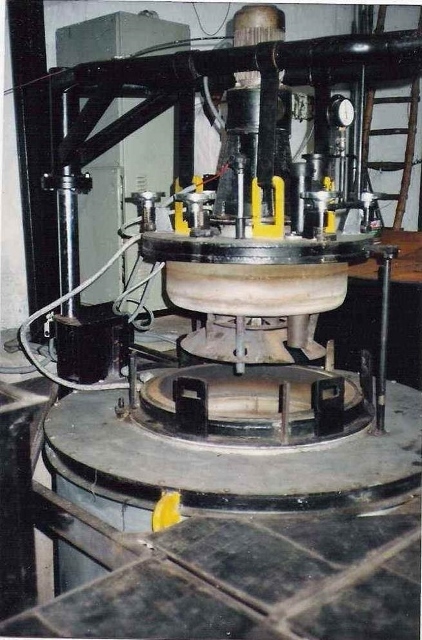 This type of nitriding requires that heated metal be placed into nitrogen rich salt. In addition to alloying with nitrogen, the metal may also pick up carbon from the salt in a process known as carbonitriding. This is a relatively fast and inexpensive process, though the salts involved are usually very toxic. The overall cost of the procedure may increase if a jurisdiction has strict regulations that govern the disposal of toxic substances. Plasma nitriding is another process that may be used to case harden metal. 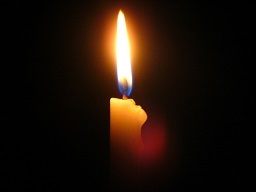 In this process, pure nitrogen is typically superheated into plasma. Other gases may also be used, though the general concept involves the creation of nitrogen ions that can then bond with the metal. This type of case hardening is typically very accurate, fast, and can result in parts that are immediately ready for use. PMI - What Is a Case Hardening? What Is a Case Hardening? Also known as surface hardening, case hardening is a process in which the surface of a metal is reinforced with the addition of a thin top layer of another and usually more durable metal alloy. The idea behind this process is usually to lengthen the life of the object, making it possible for the user to gain more value from the purchase. This can be especially important in the manufacturing of machine components, although the process is also used with metal gridwork, fencing, and decorative metal objects that are produced for use outside. Case hardening has been around for many centuries, and was often used as a means of creating horseshoes and various types of cooking utensils that would hold up to a great deal of wear and tear. This often involves making use of metal with a low carbon content, and matching it with a metal with a higher carbon content. The combination tended to make the final product much harder, since metals with a high carbon content tend to be somewhat brittle when forged. The addition of the low carbon metal created a material that could easily be molded into whatever shape was desired. As the metal cooled, the shape was fixed and the strength of the object secured.an economically viable means of producing steel for large-scale commercial use. Over the years, adding carbon to the surface of iron products has been common. The surfacing not only helps to add strength to the iron object, but also helps to prevent deterioration of the iron over time. As a result, objects like fireplace implements, cast iron wash pots, and even frying pans would remain usable for longer periods of time, often making it possible to pass the items on to the next generation. Along with making metal objects stronger and more durable, the process of case hardening also helps to ensure that anything that is built using the reinforced metal will be safe for ongoing use. This can be especially important when the metal object has a direct bearing on the well-being of a human being or other living thing. For example, a horseshoe constructed using case hardening will not wear unevenly, which means the shoe provide the horse with more stability. Since the chances of the shoe failing are very low, this means that anyone riding the horse is highly unlikely to be thrown due to a shoe breaking in two and causing the horse to suddenly change gait. Case hardening is commonly employed when creating materials for use in constructing different types of buildings. Girders, metal panels, and even metal doors are all reinforced in this manner. While steel and iron are the most common metals used in this type of process, some experimentation with the use of other metals that have low or high carbon content has taken place. PMI - What Is Austempering? Austempering is a form of heat treatment used on ferrous metals, such as iron and steel, to improve the metal's mechanical properties. The metal is heated until it reaches an austenitic state and then rapidly cooled, or quenched, but kept at a temperature high enough to prevent the formation of martensite for an extended period. Austempered metals have improved strength, toughness, and resistance to distortion, wear, and hydrogen embrittlement, and are often used in machine parts. In the first part of the austempering process, the metal is heated to a temperature of between 1,350Ã�Â° F (about 732Â° C) and 2,462Â° F (about 1,394Â° C). This causes it to undergo a phase transition that changes the crystalline structure where the iron atoms are arranged, turning it into austenite. The austenite is then quenched, usually in a bath of molten nitrate salt, and cooled to a temperature of between 459Â° F and 750Â° F (about 232Â° C and 399Â° C). It is then kept at that temperature for a time period ranging from several minutes to several hours. The amount of time the metal is kept in the salt bath and the precise temperatures used in both phases vary according to the composition of the ferrous metal and the mechanical properties desired in the final product. The austempering process differs from conventional heat treating, which rapidly quenches the austenite in water or oil, usually to room temperature. This produces a form of steel called martensite. Martensite is quite hard but highly brittle and requires further heat treating, a process called tempering, to become ductile enough to use. Generally, the result of austempering depends on the material used. Austempered steel becomes a form of steel called bainite, which is more ductile than martensite and does not require additional tempering. It is also stronger, tougher, and more resistant to wear for a given hardness than martensitic steels. Austempered ductile iron results in a structure called ausferrite, which has greater strength relative to its ductility than the products of standard heat treatment. The austempering process was patented by E.C. Bain and E.S. Davenport in 1933. It produced high-quality steel, but the process was originally quite expensive and not cost-effective for most uses. This limited its use to the production of high-performance parts that required extreme toughness and resistance to distortion, such as gun components. It was not until the 1960s, when technological advances in steel working greatly reduced production costs, that austempering became an economically viable means of producing steel for large-scale commercial use. PMI - What Is a Vacuum Furnace? A vacuum furnace is a furnace that operates with a vacuum inside, limiting contamination and controlling conditions more precisely than a traditional furnace would. Several manufacturers produce lines of vacuum furnaces for different applications, and it is often possible to lease units or buy used and refurbished ones, for people who cannot afford a brand new furnace. Leasing can also be a good option for determining which unit will meet the needs of a facility. In a vacuum furnace, it is possible to create a vacuum in the staging area of the furnace. This allows for very precise temperature control, which can be critical for some processes. It also reduces the risk of contamination, as there is no convection in the vacuum to carry contaminants around, and heat transfer is also tightly controlled. Heating components to very high temperatures can expose them to the risk of oxidation in normal conditions, but with a vacuum furnace, there is no oxygen, and the surface of the object in the chamber will remain clean. Very quick cooling is also available with this technology. The operator can flood the vacuum furnace with an inert gas to cool down the project inside. Quick quenching may be necessary for some kinds of projects, and in others it can be very useful. Vents attach to the furnace to safely dispose of any fumes and gases generated during the process. 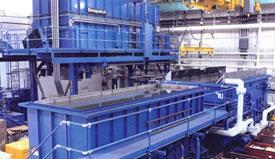 For metallurgy, a vacuum furnace may be used to make a variety of metal alloys. This is a special concern with alloys for electronics, where any contamination can ruin the metal and cause serious problems. The controlled conditions are also critical for making special kinds of metal alloys that are very sensitive to temperature variations. If the temperature falls too low or high, it may change the characteristics of the metal and make it unsuitable for the task. When alloys involve expensive components, this can be a costly and time-consuming mistake. Research scientists use vacuum furnaces for activities like fabricating components and conducting experiments. In addition, they can be useful for vacuum heat treatment of some product components. Some companies do their own heat treatment at their facilities while others may ship projects out to companies specializing in this industrial process. These firms often have very large vacuum furnaces to accommodate big projects and large batches, along with very skilled technicians to operate their furnaces for projects with low tolerances for error. PMI - What is Precipitation Hardening? 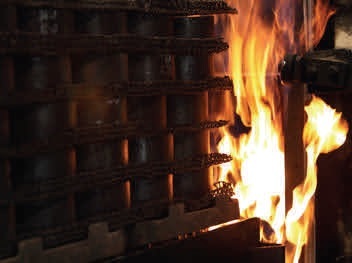 Precipitation hardening, also referred to as age hardening, is a technique where heat is applied to a malleable material, such as a metal alloy, in order to strengthen it. The technique hardens the alloy by creating solid impurities, called precipitates, which stop the movement of dislocations in the crystal lattice structure. Dislocations are the primary cause of plasticity in a material; thus, the absence of dislocations increases the material's yield strength. Alloys typically used include alloys of aluminum, magnesium, nickel, and titanium. Creating precipitation hardened materials starts with heating the material to a very high temperature in order to dissolve the precipitate. It takes anywhere from 1 hour to 20 hours for the precipitate to completely dissolve. The new mixture then becomes supersaturated and is ready to be treated further. Supersaturation of the solution is achieved through quenching. Quenching can be completed in water, air, or some mixture of a air and water. As an important step in solid solution strengthening, it leaves the material softer and more prepared for the next phase of precipitation hardening. After the initial phase and the quenching phase, the solution is aged. Unlike ordinary tempering, alloys must be kept at elevated temperature for hours to allow precipitation to take place. This time delay is called aging. Artificial aging occurs by heating the solution to above room temperature and then allowing it to soak for 2 to 20 hours. The aging temperature and soaking time is determined by the desired strength of the final product. It is important to be very careful about both the temperature and time, because too high of a temperature and too much soaking can lead to less precipitates which decreases strength and increases ductility. Natural aging is another option. If one decides to use this option, take note that naturally aging a solution takes much longer than the aforementioned method. It can take anywhere from a few days to several weeks. Aging can be inhibited with exposure to extremely cold temperatures. Impurities that are produced through the precipitation hardening process disrupt the structure of the crystal lattice in stainless steel, aluminum, and other alloys. They inhibit dislocations in these structures which make it harder for loose particles to cut through the material. Inhibiting these disruptions is key to increasing the yield strength of the alloy over time. Congratulations to Mr. Jim Sterling!!! the heat treat industry that in many aspects are unparalleled. His 45-plus years in the industry define his dedication and commitment to facilitate and improve the commercial heat treat industry. Jim began his early career back in 1967 as a heat treater with Industrial Steel Treating in Huntington Park, California. 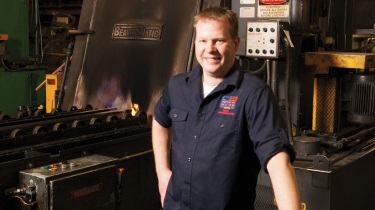 After more than 10 ½ years, he moved on to become a Heat Treat Superintendent with Menasco Manufacturing Company in Burbank, California. Pacific Metallurgical Inc. was fortunate to have Jim join our company as the Operations Manager in April 1981. He has been with us ever since. Besides MTI and the Technical Standards Committee, Jim is extremely active and involved in a number of SAE committees such as Commodity Committees E, F, G and the AMEC (Aerospace Material Engineering Committee) and has been appointed the sponsor of AMS-2759/3, becoming instrumental in the extensive re-write of this specification. Jim’s peers of the MTI recognized his fine qualities as a true professional in earning the Award of Industry Merit. He has displayed responsibility, intelligence, congeniality and is well-respected by his colleagues. We here at Pacific Metallurgical salute you Jim and are very proud to have you represent all of us with such a prestigious award. 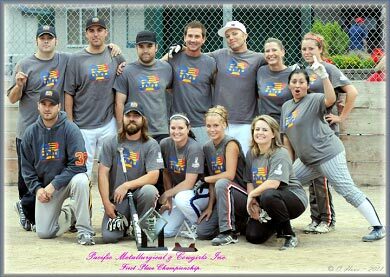 Team Pac Met Joins Local Tough Mudder Event! 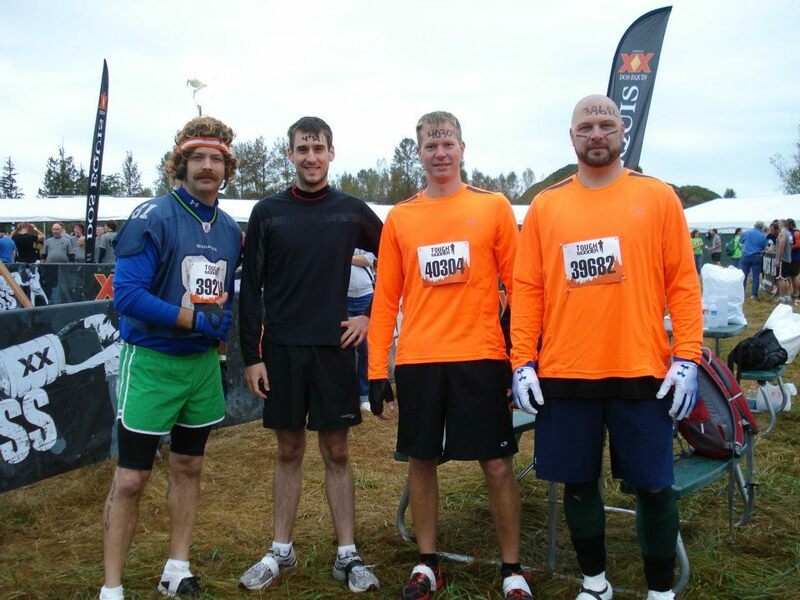 On September 29th, a Pac Met Tough Mudder team consisting of Derek, Michael, Denny and Derek’s bro’-in-law Ty Coffee entered a Tough Mudder event held in Black Diamond. Pacific Metallurgical will be at this years Kent school district technology expo, located at the ShoWare center in Kent, WA. Come by our booth to see how we record furnace temperatures, identify materials, look under a microscope at metallurgical samples, and play with some interesting metals. Have you ever wondered how heat treatment works? What austenitizing is? Why your parts are not the same size they were before heat treatment? Here is your chance to ask questions! 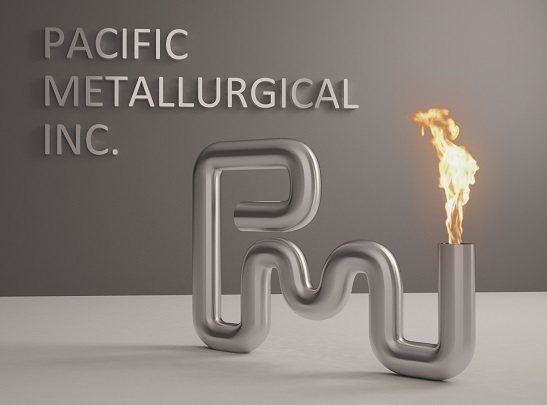 Pacific Metallurgical introduces PacMet U, a customer-centered course designed to show what happens behind the flame curtain. PacMet U also includes lunch and a tour of our facility. This course is geared for personnel with little to no heat treatment experience; it is also a great refresher course for personnel familiar with heat treatment. Don't miss out on this free resource! Call or email us to find out about the next available dates. Expanding our capabilities. 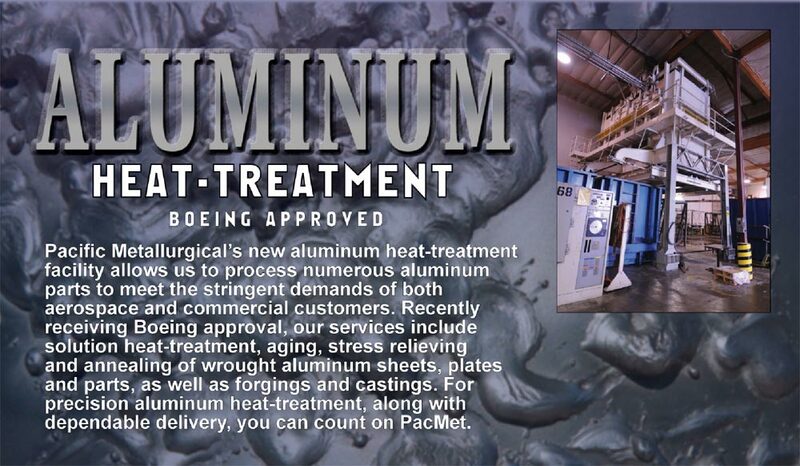 As of 2008 Pacific Metallurgical now offers aluminum heat treating. 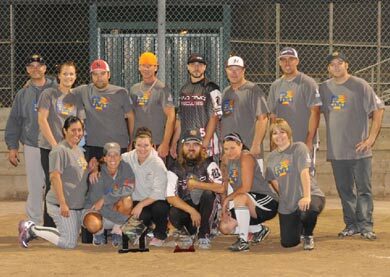 PacMet Sports-Softball Team Fall League Champions 13-0. 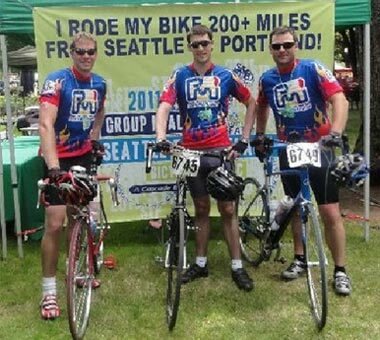 This July PacMet Sports participated in the Seattle to Portland (STP) bicycle ride. The 200 mile bicycle ride is the largest muti-day bicycle ride in the Northwest, with 10,000 participants. Derek Fallen, Michael Quann, and Jeremy Matthews finished in 2 days with a total time of just over 16 hours.